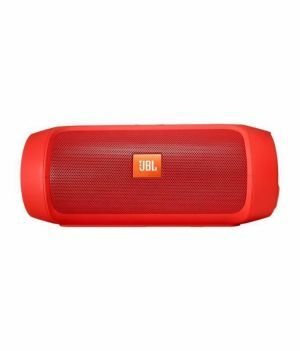 The JBL oem Charge 2 Portable Bluetooth Speaker is sure to enhance your listening experience. This efficient and reliable speaker offers you sharp sound quality with superior bass. The speaker has a range of buttons that let you adjust the volume and change the settings according to your preferences. Featuring Bluetooth connectivity, the speaker lets you play music directly from your smartphone through wireless pairing. It has a compact and light weight design that makes it highly portable.